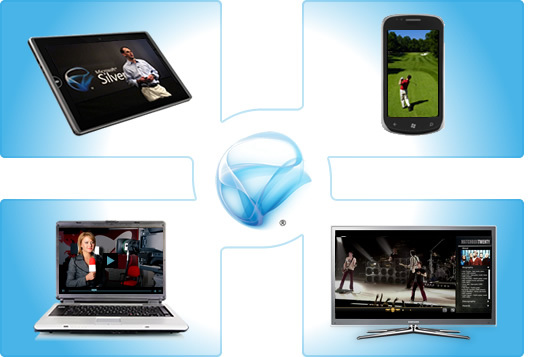 Silverlight lets developers rapidly build and deploy rich media applications for the Web and mobile devices. Whether you are designing on-demand or live streaming services in the enterprise or for consumers, Silverlight offers support for popular platforms and integrates with Microsoft Media Platform technologies for dynamic adaptive streaming over HTTP and DECE-approved digital rights management. Open source frameworks for advanced playback, editing, analytics and content management dramatically enhance service functionality, economy and monetization opportunities.